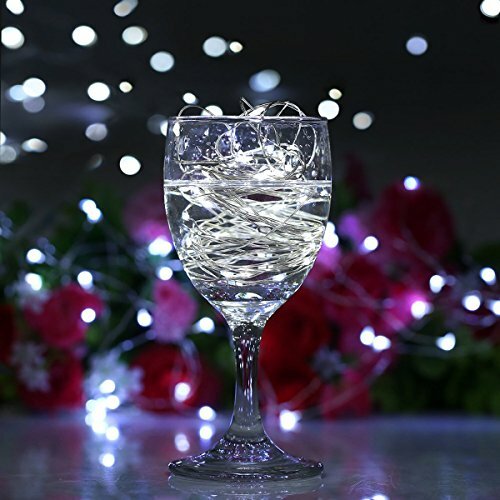 Perfect Party Decorations — With little twinkling micro LEDs,these starry string lights would be great to decorate your wedding party,Halloween,or just to make twinkling centerpiece for your dinner party. DIY Night Lights — Feel free to put them into a Glass Jar to make lovely night lights for your bedroom;with a remote nearby to turn them on/off without getting out of bed, enjoy your sweet dreams!!! A Remote Changes Every Thing!!! 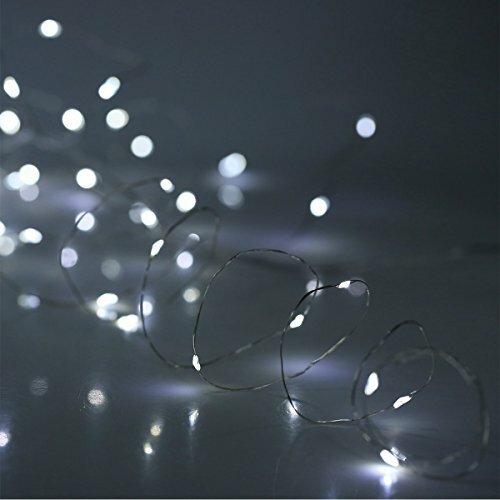 — with a remote in hand, you can easily set them to flash in various patterns; to set them on timer to auto light up for 6 hours and auto turn off for 18 hours per day; to turn on or turn off the lights, or to dim the lights as you want; show your friends some magic with this remote fairy string lights and enjoy their compliments!!! 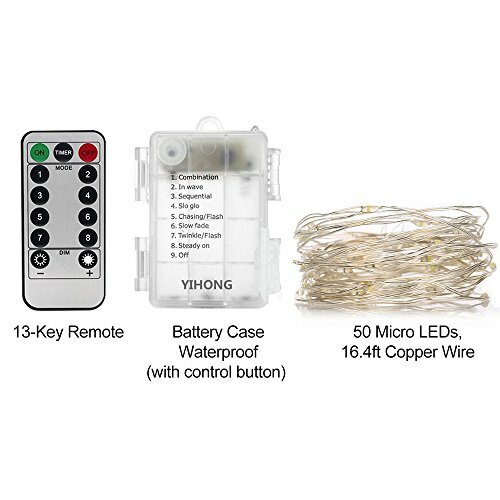 4 remote included,one remote can control several lights at the same time. 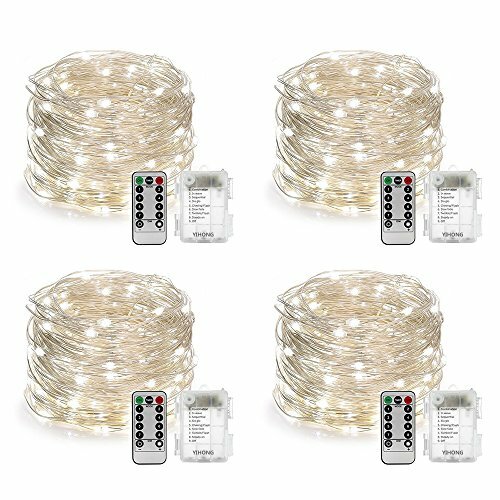 Terrific Decorating & Crafting Tools — You get 4 Sets of daylight white battery powered Fairy Lights,each string light is with 16.4 feet moldable copper wire and 50pcs glowing micro Leds;one remote controls multiple lights, and you get 4 remotes! 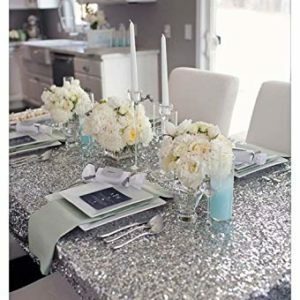 You can use them to decorate your wedding ceremony, Halloween party; DIY unique dinner party centerpiece;apply for your crafting project;making twinkling bonsai/plants arrangement. A Remote Makes All the Difference! 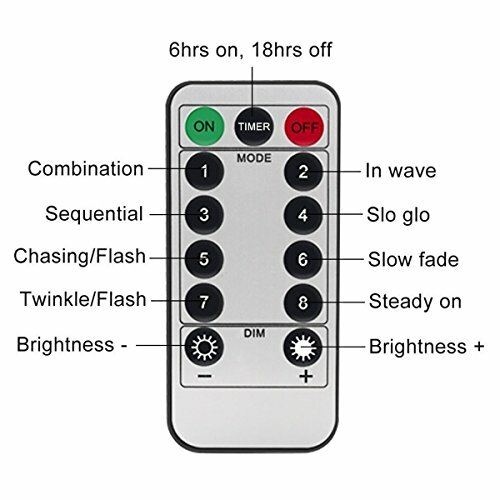 — with a remote in hand, you can easily turn on/off the lights;set them in timer to auto on and off each day;adjust the brightness;switch from flash to twinkle to slow fade to steady on etc. 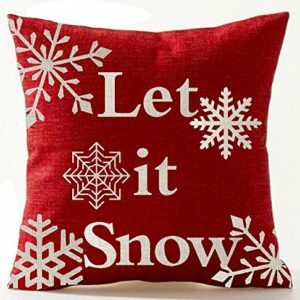 ; ALL IS IN YOUR CONTROL! 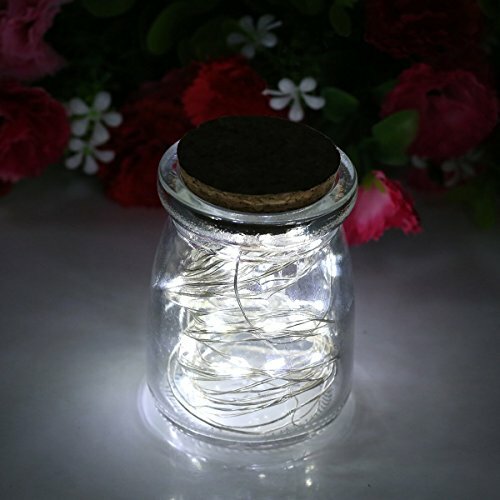 Waterproof Light String — The wire parts of the string lights are fully sealed, thus making it submersible, the battery case cannot be put under under water since it is only IP44 level, we recommend inside use, for occasional outdoor events, please keep the battery case in dry place. 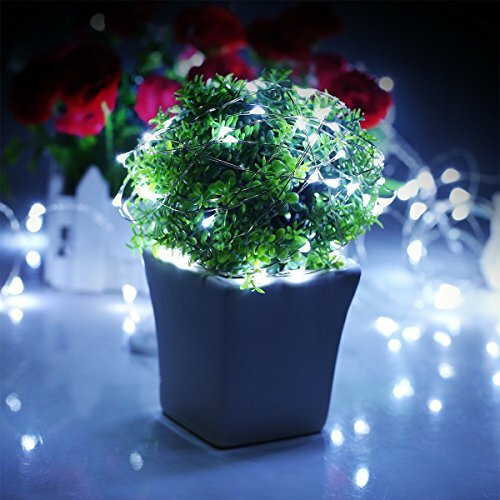 Battery operated string lights(NON PLUG-IN) — Require 3 AA batteries for each strand; Fresh AA battery(not included) can last for up to 5 days with continuously STEADY ON Lighting, let along on flashing mode; with timer set for 6 hours on each day, they will last for more than half a month without problem.